Check out the scarifying brush disks available from Brushtec. Our scarifying brushes consist of plastic segmented disks fitted with hardened, tempered steel wire. These brush disks are designed to be used dry as a way of scarifying and scraping away compacted deposits of debris, such as oil and dirt. 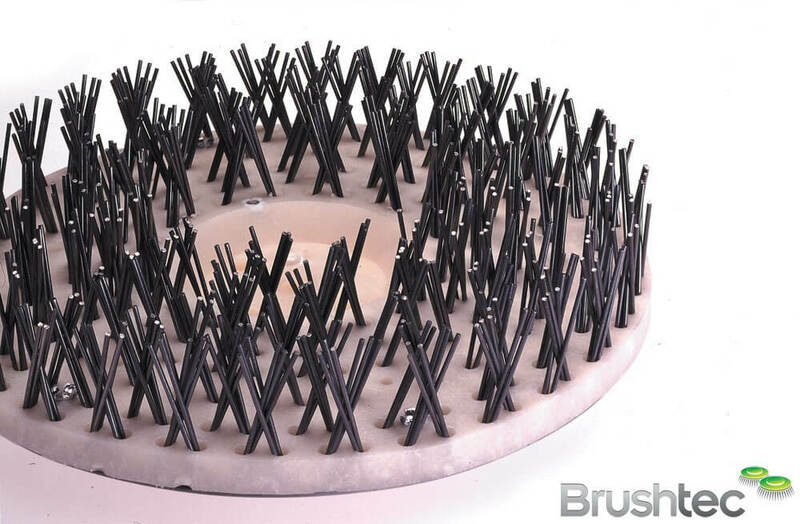 Dry steel brushes can potentially produce a spark, however, so non-spark phosphor scarifying brush disks are also available for use in hazardous, explosion-risk areas. 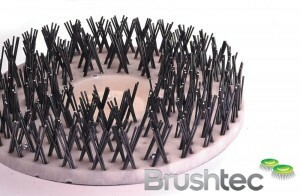 Brushtec produces all of its scarifying brushes with design-focused OEMs in mind. So please feel free to get in touch if you have any questions or specific requests for us. If you’re looking for something else, you may be interested in our heavy industrial scrubbing disks, or perhaps even our polishing disk brushes.